Are Ikea Cabinets Right For Your Tallahassee Kitchen? Have you heard Ikea is coming to Jacksonville? That’s only a short 2.5-hour drive from Tallahassee! If you’ve never been to an Ikea store, it’s an experience. Expect to spend a few hours and don’t forget to get some Swedish meatballs from the cafeteria before you go! People love the “Euro” look of Ikea cabinets. 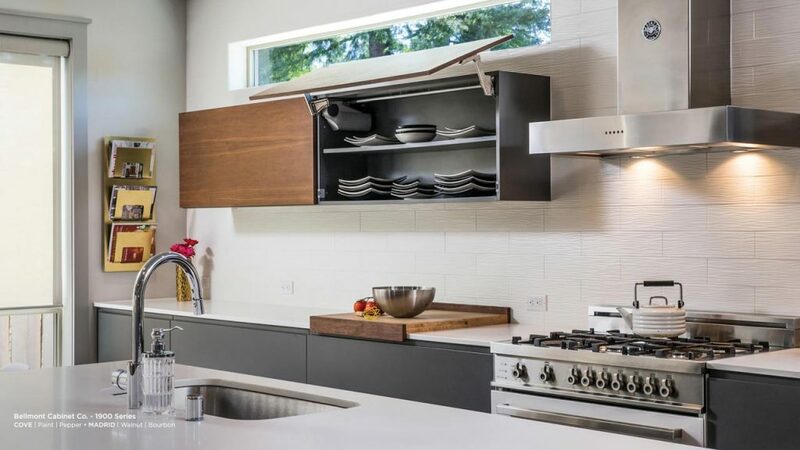 That look comes from their frameless design and contemporary door styles, like the cabinets pictures above from Bellmont. Yes and No. In general, Ikea cabinets are well made. They use a lower quality furniture board that is more susceptible to water damage and the hardware could be better. But they quality is good for an entry level cabinet option. Aren’t they made from fiberboard? 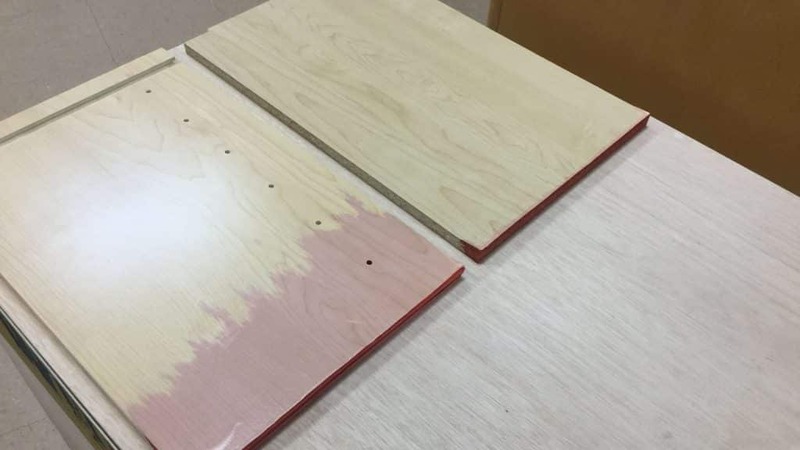 Most manufacturers are moving away from plywood construction to furniture board because it is a more stable product and the quality is more consistent. 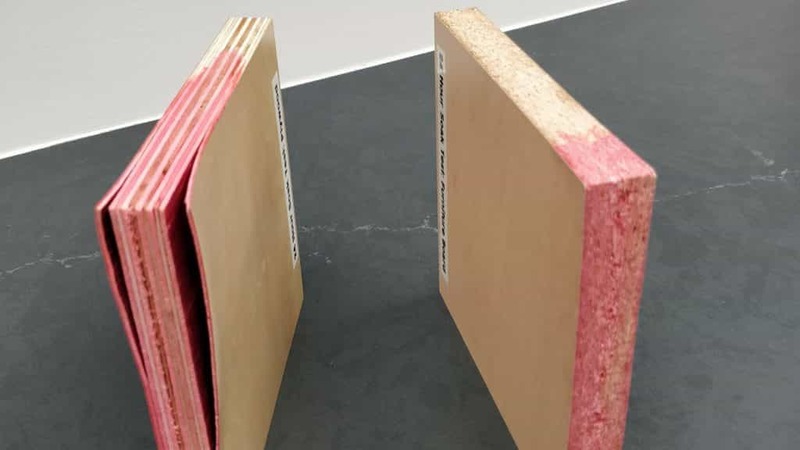 The thickness of plywood can vary but as much as 1/16 of an inch and when you are building frameless cabinets that much variation is unacceptable. Plywood also cost about 20 percent more then even the highest quality furniture board. Our frameless cabinets, made by Bellmont, come standard with a industrial grade furniture board cabinet box. A plywood option is also available, though that does increase the cost. Won’t Furniture board swell when wet? The plywood is on the left. See how much further up the plywood the water wicks? The water actually creates more damage in the plywood and the plywood holds more water which can lead to mold. The plywood on the left is delaminating. The furniture board on the right has swelled a little, but it stayed together better and the water has not penetrated as far into the board. Modern Furniture boards are very high quality and great option for cabinet construction. Do Ikea cabinets cost less? No. Ikea does use a lower quality furniture board to keep costs down but there are many cabinet lines similar to Ikea that are at the same price point. Even our Bellmont Cabinets, which use a very high quality furniture board, are similar in cost to Ikea cabinets for certain door styles. On the surface, Ikea cabinets look like an economical option. In reality, most kitchens remodeled with Ikea cabinets cost, in total, between $20,000 and $40,000 which is similar to the average cost of most kitchen remodels. Ikea cabinets look like a lower cost option because you are buying them unassembled, without shipping or installation costs. What do people love about Ikea cabinets? Certainly the look. Ikea cabinets are frameless and the doors fully overlay the cabinet boxes. This gives the kitchen a uniform and contemporary look. I also think people really like that they can shop for their cabinets just like they might for furniture. At first glance, it seems easier… no salespeople to deal with or showrooms to visit. 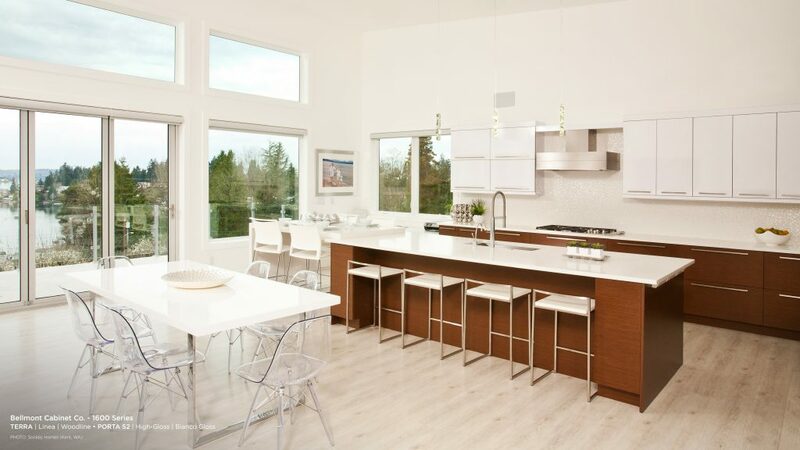 However, kitchen design can be complicated, and mistakes can be costly. A good designer can easily save you more than they cost you. My overall advice would be: if you are going to go the Ikea route, spend a lot of time on the design and planning. Triple check that everything will fit as expected. Know if your walls are plumb and your floors level, and make sure you know the exact location of your plumbing and electric supplies. Most issues on remodeling projects can be traced back to the design and planning stage. A more transitional look from Bellmont, a unique door style called Avant. Add storage, delivery costs, assembly costs and install costs to the price. Delivery and/or shipping are not included in the store price of your cabinets. You can go get them yourself, but you’ll need a large box truck and the time to do it. Ikea cabinets need to be assembled on site. That can add a significant cost over a regular cabinet install. Even if you do this yourself, it’s a commitment of time, tools and effort. Assembly also takes up a lot of space and once the cabinets are built, they have to be stored somewhere until they can be installed. It can be deceptive to design a kitchen with Ikea. You’ll see your complete design and a final cost of $6000 – $8000 and feel like that’s a real bargain. But the Ikea design process does not include all the costs associated with a kitchen remodel. Demo, debris removal, plumbing and electric costs are common on all kitchen remodels. And you have to include the cost of flooring, countertops, fixtures, and more. Cabinets do sometimes get damaged in shipping or arrive with manufacturer defects. If you buy the cabinets, you’ll need to supply the replacements and deal with any of the delays it causes to your project. No one thinks this will be an issue until it is, and it can really ruin a project timeline. Ikea cabinets are stock cabinets and cannot be customized easily. Stock cabinets are economical but only come in 3” increments which can lead to lots of wasted space since fillers are used to bridge the gap between cabinets or between cabinets and walls. They also have a limited number of cabinet box options and door styles. In general, it is more difficult to design with Ikea cabinets because the options are so limited. If your kitchen is very simple, a one wall or l shaped kitchen for example, this might not be a big deal. For many kitchens, it would lead to a waste of space. Ikea uses a “light” version of 2020 design software on their website and in their stores to facilitate designing your kitchen. The people there to assist you have some training but probably don’t have the training and experience of a true kitchen designer. 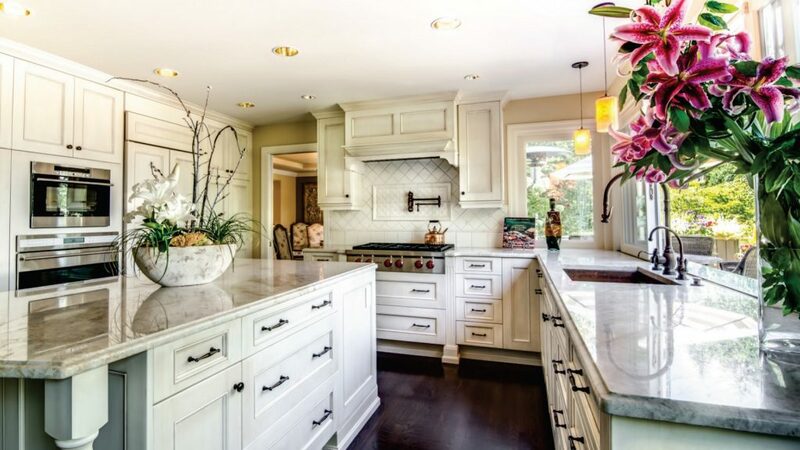 Mistakes in kitchen design can be costly and long-lasting. We’ve seen way too many kitchens where you have to open the dishwasher in order to open the adjacent drawers because proper cabinet spacing was not considered. 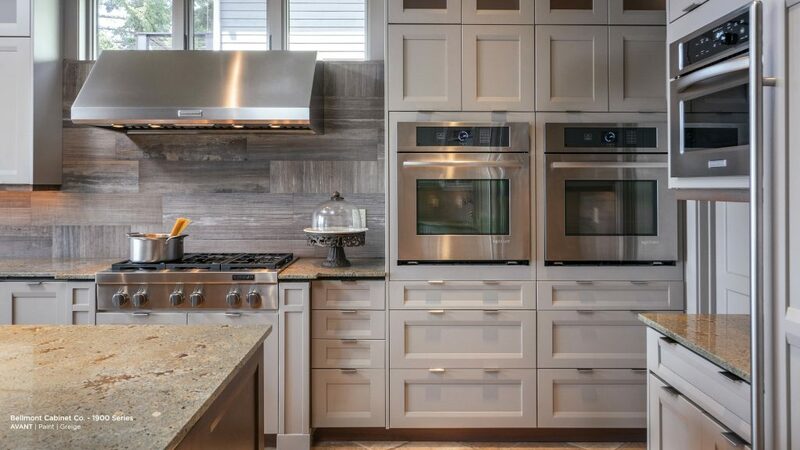 Frameless cabinets can also have a traditional look. We specialize in frameless cabinets and carry cabinets from a Seattle-based company called Bellmont Cabinetry. We spent the better part of a year searching for a cabinet brand we could stand behind, and Bellmont really met our needs. Bellmont Cabinets is a family-owned company and manufacture in the USA. They are forward thinking both in the use of technology and design. In all my research, Bellomont was the only company I found specializing in frameless cabinets with such a depth of cabinet box options and door styles. It was a little overwhelming at first, but now that we’ve had a few months to get used to their catalog, designing with Bellmont is fantastic. They offer cabinet and organizer options that we haven’t seen anywhere else, and they are constantly innovating. While many competitor cabinets come in 3” increments (12”, 15”, 18” etc.) and then charge a fee for modifying the cabinets if needed, Bellmont allows for ¼ change in cabinet size at no charge. This means fewer fillers are needed and your kitchen can have a true custom look. All Bellmont Cabinets come with Salice hinges and glides.Salice is an Austrian company well known for its quality hardware. Pick any Sherman Williams color and Bellmont will paint your cabinets that color. There are two sheens available 20% and 5%. Frameless cabinets are best known for their “Euro” or modern look. Bellmont offers a wide range of styles from rustic to traditional to uber modern. They offer all wood doors, MDF Doors (which are great for Florida’s humid climate) and textured laminate doors which are super durable and easy to clean. They have just over 100 standard doors and many of the doors can be customized with different edge profiles and applied moldings. Our favorite is the BiFold lift up door (we have one in the showroom with a touch to open mechanism that is fantastic). Bellmont offers a lot of unique cabinet options and organizers that have helped us personalize the design of our customers’ kitchens. If you’d like to learn more about Bellmont Cabinets, designing with Ikea, or explore your remodeling ideas with us, you can schedule a showroom appointment here. ← Meet Our Designer, Caitlyn!